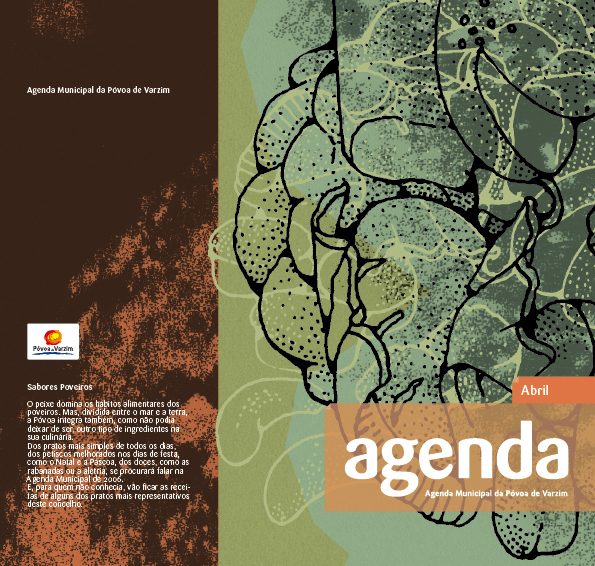 In 2006 after several years of being responsible for this publication, i decided to do something very different. 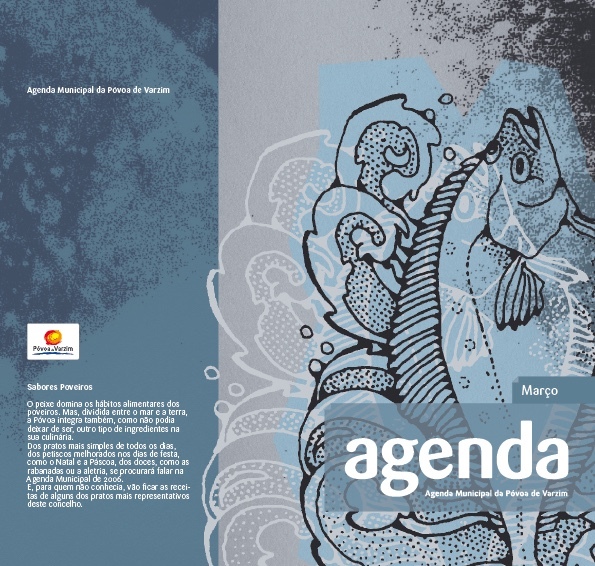 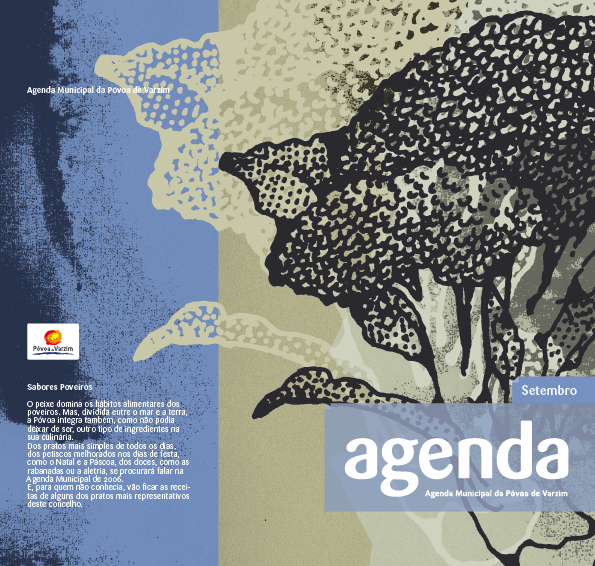 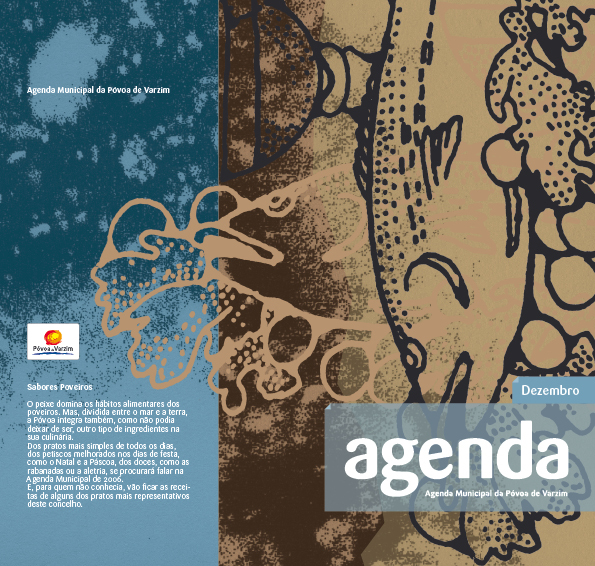 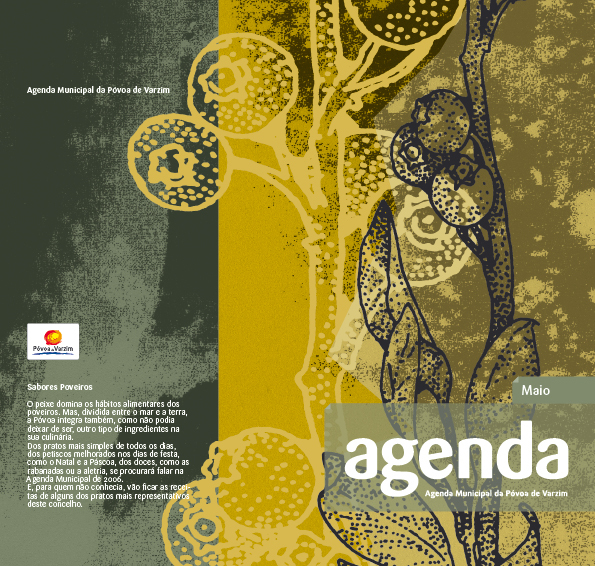 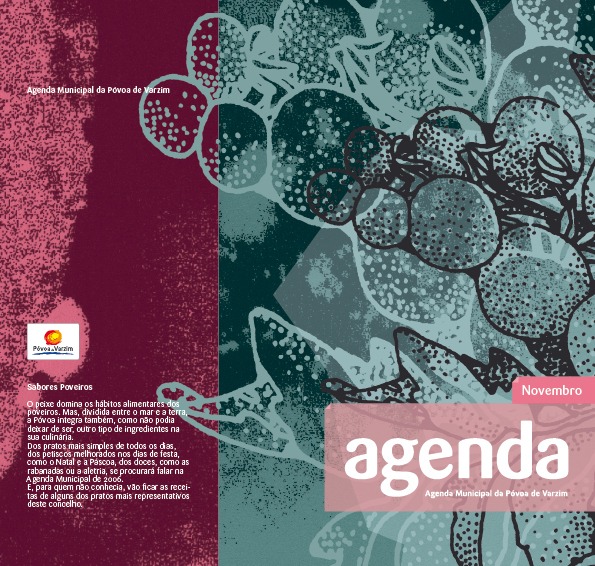 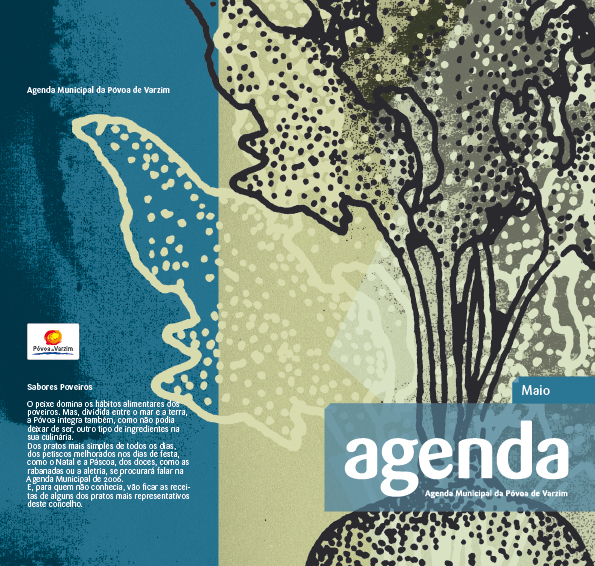 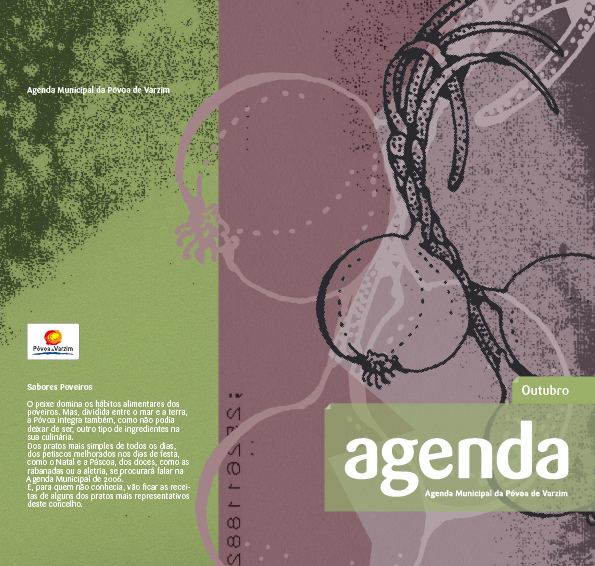 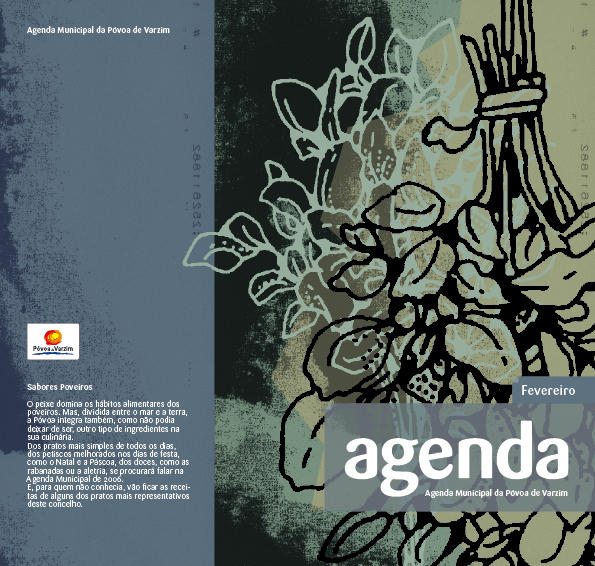 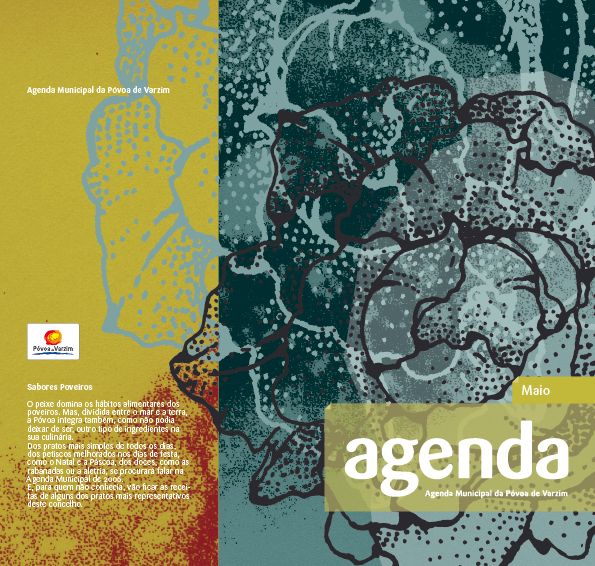 The theme for this year “agenda” was local gastronomy and i decided to do the cover of the publication with an illustration. 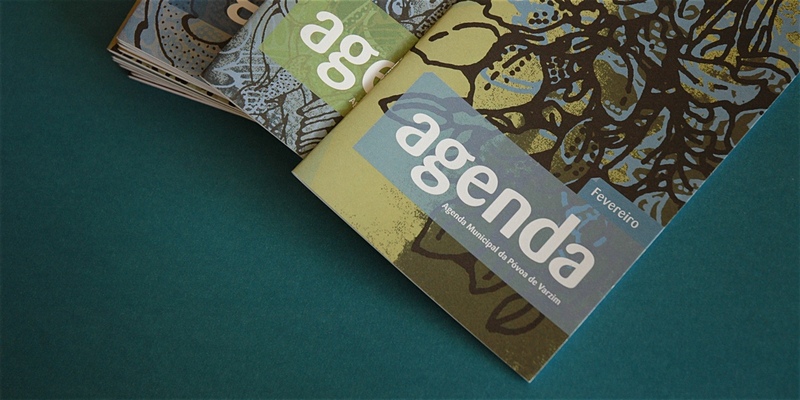 The result was a series of 12 illustrations that were quite bold for this kind of publication. 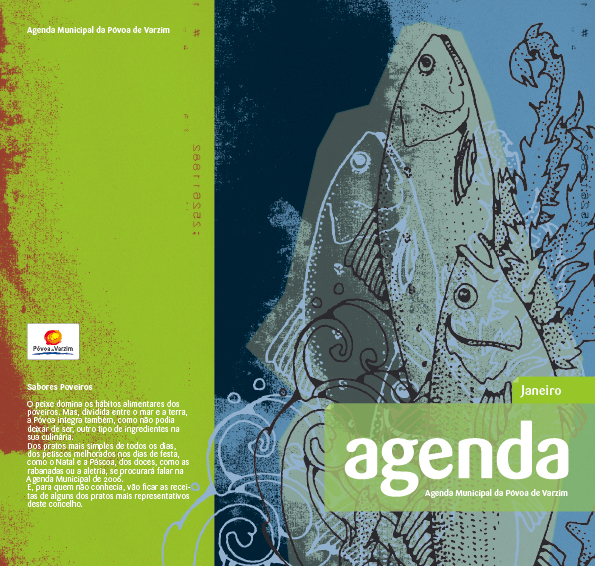 Each illustration was related to the local gastronomy ingredients, mainly fish and vegetables. 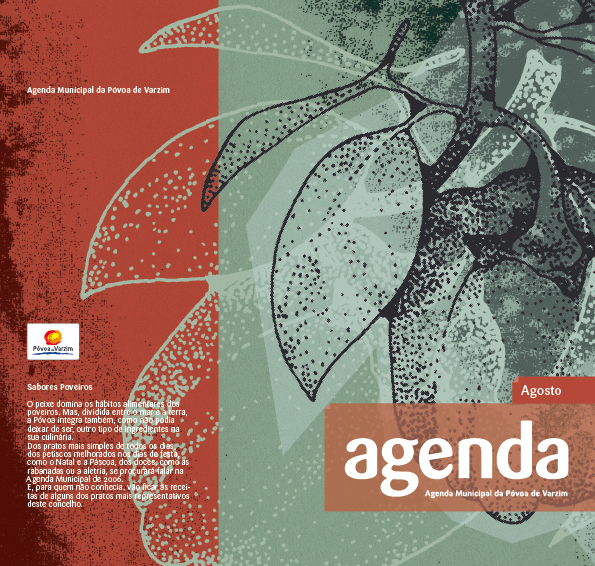 The layout was also designed by me and was very functional and clean and set out the grounds for future years publications for the city of Póvoa de Varzim.